Welcome to Merica. Land of the badass. Home of the brave. Around here we like tattoos, cold ones and sleeveless shirts. And nothin' says "I might have a catfish neck tattoo" like drinkin' dranks and bangin' skanks. 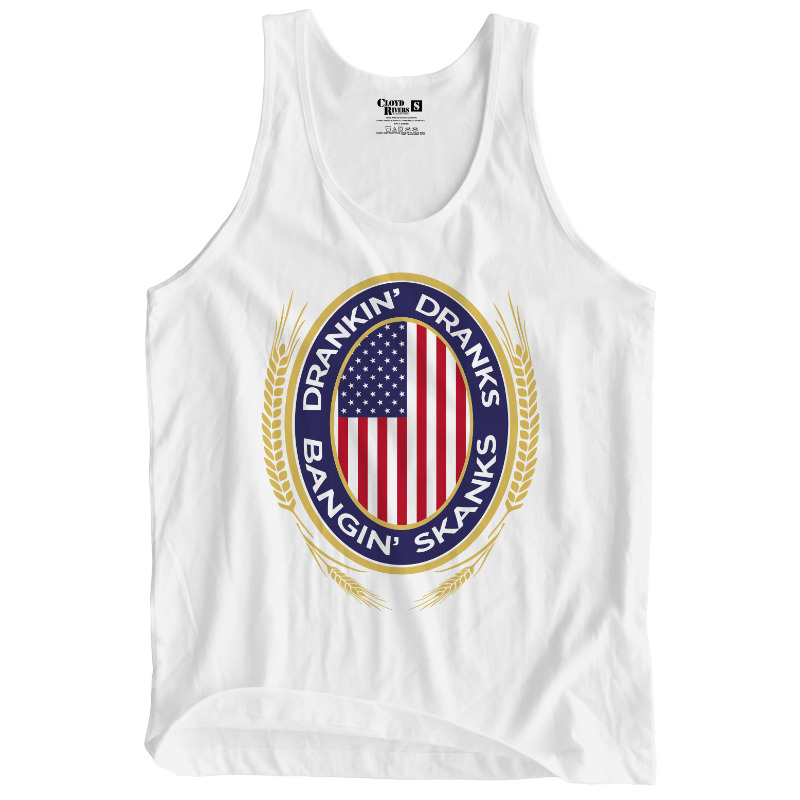 Time to crank the Hank, crack a cold one and show the skinny jean wearin' Eurolanders who's boss with the Cloyd Rivers "Drinkin' Dranks and Bangin' Skanks" tank top. Merica.